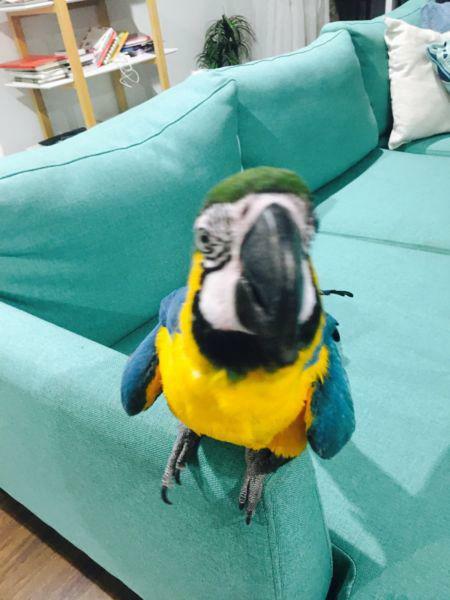 Hand raised blue and gold macaws for sale. All animals are habdled on a dailt basis and will be great pets and companions. Have references available of people who bought babies from me as pets. Please message me for more info. and tHat includes all the vet checks and micro chipping and dna sexing. Birds comes with a carry cage.